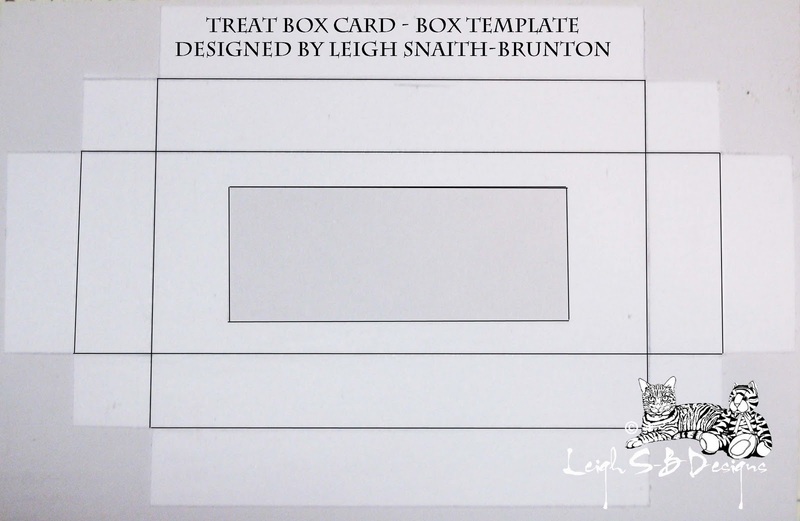 Velvet Paw Creations: Kid's Treat Box Card featuring Third Coast Rubber Stamps! 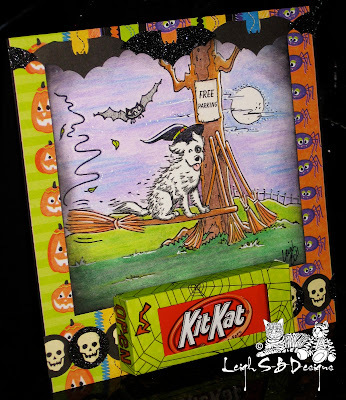 Kid's Treat Box Card featuring Third Coast Rubber Stamps! I made this one especially for my 4 year old nephew, Daniel, and it went all the way to the UK and arrived in time and in one piece, phew! I stamped the scene onto white cardstock with a Tuxedo Black Memento ink pad and did all the colouring with Derwent Watercolour pencils and a Dove Blender pen. 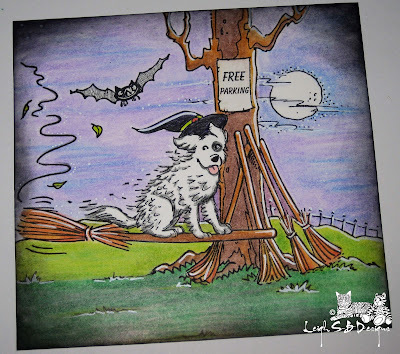 I drew in the curvy trail line with a few scattered leaves to give the impression that the Broomstick Dog had just whooshed in then added highlights with a white gel pen. I then distressed the edges of the panel with Black Soot Distress Ink. 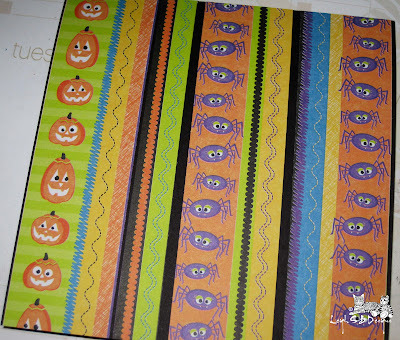 I cut some panels from Halloween themed decorative paper and adhered them to the black folded card and mounted the panel onto the card with double-sided tape. 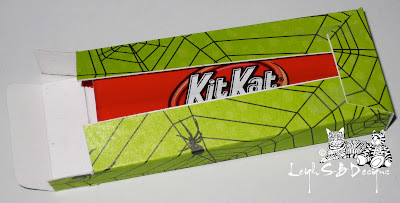 I then constructed a box for the treat based on the size of the actual chocolate from white cardstock which I then covered with the decorative spider web paper. 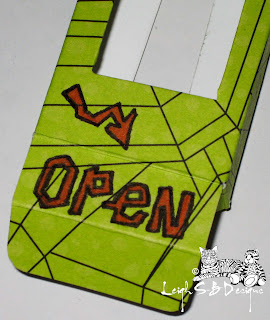 I cut an X slit in the window, trimmed the flaps, folded and adhered the flaps with a glue stick. 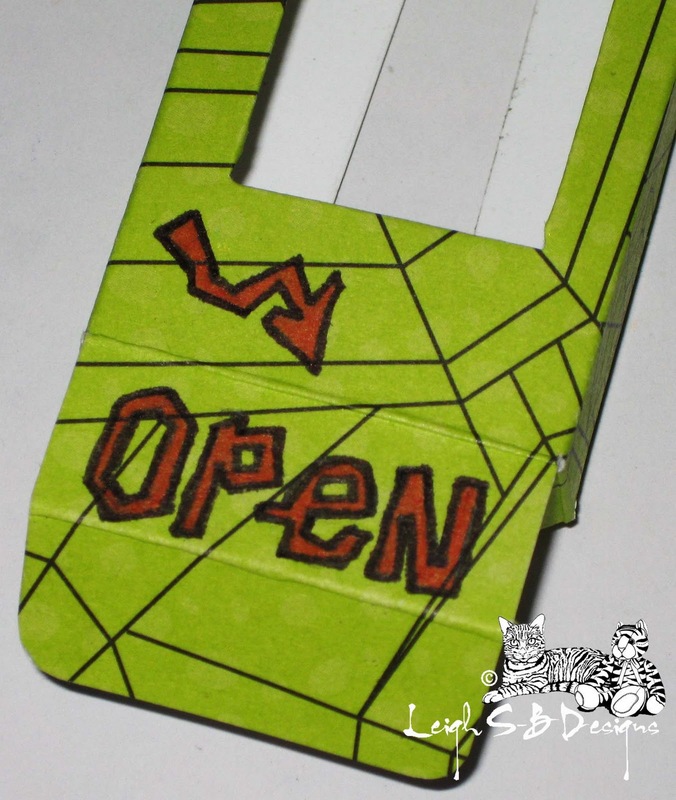 I then constructed the box and adhered the sections together with a glue stick. 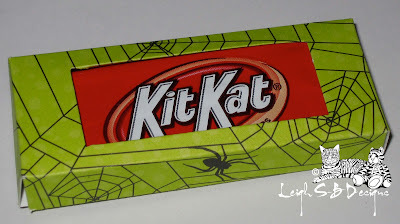 Only one side of the box can be opened to get the chocolate out so I drew in an arrow and wrote 'Open' on the side to be opened. 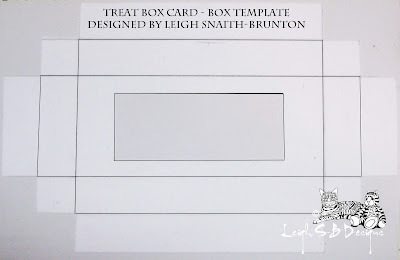 I then adhered the treat box to the front of the card with double-sided tape and added the Martha Stewart Crafts self-adhesive bat border along the top of the card and the skulls border on both sides of the treat box. 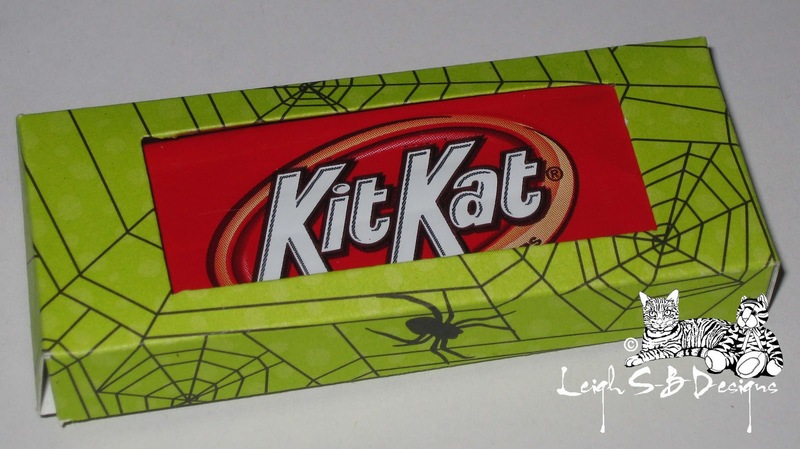 Thanks for joining me on this spooktacular Halloween night! Wonderful creation, love it and the image is perfect for it. ! This is such a cute idea. And, you designed the template!! Fabulous.